The Prime Minister has approved a plan on conserving geological heritage, and developing and managing the network of geological parks in Vietnam, under which 25-30 geological parks would be recognized nationally or globally by 2030. Geological heritage can be divided into two groups – natural and artificial. Artificial heritages are created by human activities, such as ponds, artificial reservoirs for hydropower, with beautiful landscapes. According to La The Phuc from the Vietnam Geology Museum, four geological heritage sites have been recognized by UNESCO (The United Nations Educational, Scientific and Cultural Organization): Ha Long Bay in Quang Ninh, Phong Nha-Ke Bang natural heritage in Quang Binh province, Dong Van Plateau Geopark in Ha Giang and Non Nuoc Geopark in Cao Bang province. Vietnam has also submitted dossiers to UNESCO for the recognization of other sites, including Cat Ba archipelago (Hai Phong City), Trang An Ecosystem (Ninh Binh province), Ba Be Lake (Bac Kan), Hoang Lien-Sa Pa (Lao Cai), and Krong No volcanic geopark (Dak Nong). Geological tourism is a form of sustainable and educational tourism which brings benefits to local communities. Geoparks have emerged as a new type of geological tourism, opening up a new era of socially responsible and environment friendly tourism in Vietnam. Tran Tan Van, director of the Institute of Geosciences and Minerals of Vietnam, commented that despite economic benefits that geological vestiges can bring, the studies about artificial geological relics is still a new issue in Vietnam. To effectively exploit artificial heritage sites for tourism development, Vietnam needs to draw comprehensive plans from the very beginning. Thousands of mines have been exploited in Vietnam, but no plans on developing the mines after the exploitation concluded were done. Meanwhile, analysts say, if Vietnam has reasonable exploitation methods after the mining ends, these areas would become sites to attract travelers. To date, more than 120 geoparks in the globe have been recognized by UNESCO, and local tourism has been developing strongly thanks to the geoparks. 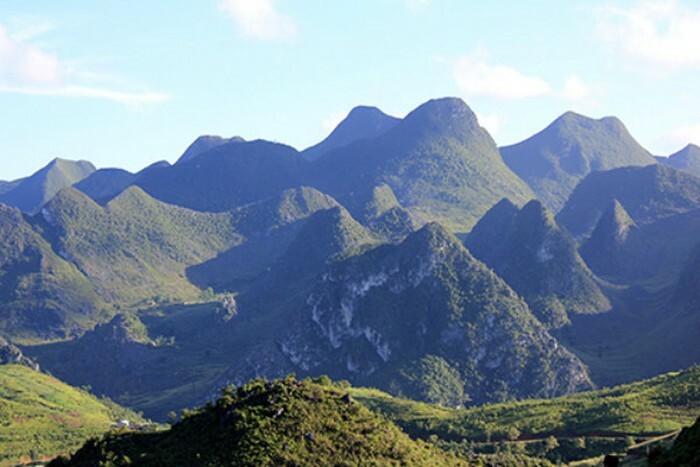 The same has happened with UNESCO recognized geoparks in Ha Giang and Cao Bang. These have helped attract travelers as well as investors who develop food and accommodation services. Geoparks promote a protection model which integrates the conservation of outstanding geological features and heritage, and encourage education and socio-economic development opportunities. Jake Brunner from IUCN (International Union for Conservation of Nature) confirmed that in Vietnam some UNESCO-recognized natural biosphere reserves have great development potential and receive benefits from geological tourism.